After traveling more than 2 million kilometers through outer space over the course of 27 months, NASA's OSIRIS-REx spacecraft arrived at the asteroid Bennu in early December of last year. Since arriving, the spacecraft's five scientific instruments have been surveying the 490-meter wide asteroid to better understand its properties and find a safe landing site from which to gather samples for a return to Earth. 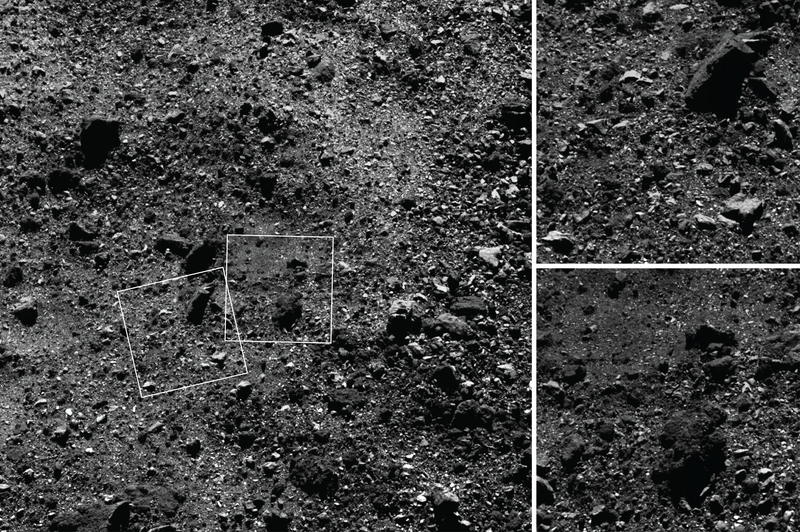 In some respects, Bennu is about what scientists expected—a "rubble pile" of stony meteorites that have aggregated under the influence of microgravity. Scientists were able to determine that the density of the asteroid is about 1,190kg per cubic meter. By way of comparison, a potato has a density of about 700kg per cubic meter, and dry gravel about 1,500kg per cubic meter.